KUALA LUMPUR: The Government is in discussions on establishing a free trade agreement (FTA) with Bosnia and Herzegovina, Deputy Home Minister Datuk Nur Jazlan Mohamed said. 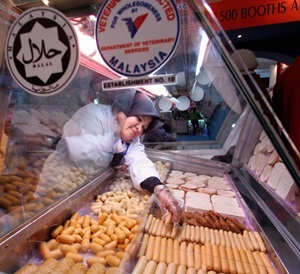 He said this was one of the Government’s initiatives to help businesses in that country while helping Malaysian entities to establish their presence there, especially in the import and export of halal products. “A lot of products needed by the people of Bosnia and Herzegovina can be made in Malaysia; and apart from halal products, there are other sectors to venture into,” he told reporters at a corporate luncheon organised by the Malaysia-Bosnia and Herzegovina Council (MBBC). Earlier in his speech, Nur Jazlan said Bosnians might soon benefit from the niche market that Malaysia had established. “Malaysia understands that as Muslim consumers, we all share a mutual lifestyle from the way we eat to the way we present ourselves in attire and accessories, where everything is inter-related with our faith. “Besides the very possible expansion of the halal market, the tourism industry in Malaysia and Bosnia can be cultivated thoroughly, with the aid of MBBC, inviting tourists from both the European region as well as the Asian sphere to explore the wonders of the beauty that our countries have to offer,” he said. Nur Jazlan was reading a speech on behalf of Deputy Prime Minister Datuk Seri Dr Ahmad Zahid Hamidi. He said once the proposal for the FTA was completed, it would be presented to the International Trade and Industry Ministry and the Foreign Ministry, adding he hoped the collaboration between the two countries would boost two-way trade. This trade amounted to RM1.08mil for the first eight months of 2014, compared with RM1.2mil for the whole of 2013. The MBBC, launched in Sarajevo on Sept 26 last year, is a platform to spur business activities between Malaysia and Bosnia and Herzegovina as well as other Balkan states.